7. All Alternate Accounts (with profile links): Pixels X: http://www.plazmaburst2.com/index.php?a=&s=7&ac=Pixels%20X&id=1706889 HDE031305: I can not find the link, but I definitely Know that I had 10K kills. As I checked a while back. 8. List all past clans and reasons for leaving them: Ultra Instinct, Emo kicked me for no reason. ARC, got tired of the bad community. 9. Why are you applying for YRN? Well, this clan is a fairly large clan and I would like to see how it works out. 10b. How will YRN benefit you? I think that if I can get training from YRN members etc. then I can get much better at PB2 and I bet it will help me socially as well. 11. List some good/bad experiences in your most recent clan: Ultra Instinct, People complementing me on my gameplay. ARC, Getting to 1 Vs 1 A lot of people, I do not do that often. 11b. List some experiences you wish to have in YRN: Well I would Like to actually Join YRN, and train with some people in the clan. 12. What YRN Members do you know? Slash, Neptunne, Hancho, Clown Killer, Obinator. All I have played with. 13. In your opinion what makes YRN different and/or better from other clans? I bet this clan would be better than ARC, Community, and Trainers. Ultra Instinct I think is worse than YRN because the Leaders are actually Online Discord. As with shift a leader of Ultra Instinct, is almost never on Discord. 14. Most frequently played server and average ping: USA, California. and My Ping is around 93-99. 15b. How active will you be on Discord, YRN forums, and PB2? I will be on Discord, and PB2 almost every day, if not I am taking a break for a day or 2. YRN forums I don't really know how often I would be on here. If I can I will be on every day. 16. What are your skills within PB2? I focus on Pushing, I don't like to defend Or stall the opponent. I'm aggressive. 17. Describe what kind of person you are: Im honestly a nice person, I don't really care much about what people say. Because it cracks me up. I tend to be nice to who is nice, and have a little agression over who isn't. 18. What do you value more and why: Skill or Attitude? I value more Attitude, because if you have a positive attitude then you will focus more on the game, making you somewhat better. But if you have an Angrier attitude against it. More like Mad, then you become off balance and struggle to focus on the game. Why do you have Ultra instinct tag on your alt still? Are there any other reason(s) you want to join? I play Mostly Snipers, Sometimes I would play rails for the kills. While I obviously want you to join, and I think you would benefit YrN greatly, just answer this. Can you be more specific, perhaps give a more concrete answer? Regardless, pills is a good player and is very active. I fixed your comment, next time don't quote your application just send a reply. 9. Why are you applying for YRN? YRN is a large clan, with I know a great community, unlike UI I ddin't know a lot of people, and Emo recruited me because he was "Tired" but here I know that you guys are recruiting (Or not) Me with lots of questions, Instead of just doing it, So I know that this clan will be better than most to be in, because the community is great and It seems like a great clan. 23. Extra comments: I also Copied #1 on accident mb: so Some answers will not be changed. Why did u even quote your whole application wth? @L. San wrote: 11b. 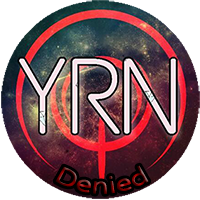 List some experiences you wish to have in YRN: Well I would Like to actually Join YRN, and train with some people in the clan.